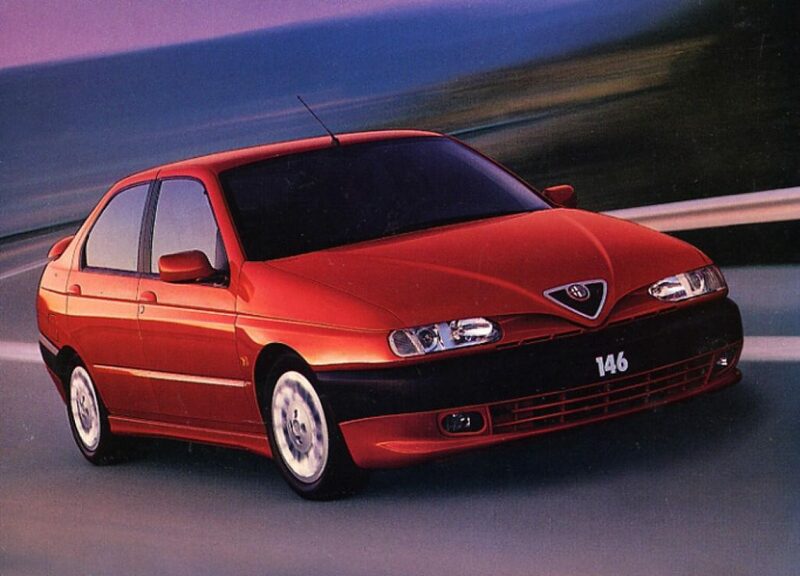 Alfa Romeo 146 PDF Workshop and Repair manuals, Wiring Diagrams, Fault codes free download! This model of the car was presented to the whole world in 1994. It can be attributed to the segment of medium and small cars of category C. The exterior of the car is distinguished by its special rapidity, which was achieved thanks to a slightly elongated front part, as well as a wedge-shaped profile and an acute trunk cut which is raised sufficiently high. The sports character Alfa Romeo 146 completes the traditional air intake label, the shape of which resembles the letter “V”. This model of the car has five doors, is equipped with a 16-valve 4-cylinder engine, the working volume of which is from 1.4 to 2 liters. Suspension of the car is quite tough, but this is exactly what you need for a good sports car. In 1996, the car was modified in two versions: with a 2-liter turbodiesel or with a forced 2-liter engine. Due to the variety of modifications of this model, each motorist will be able to pick up exactly what will suit him most. The basic equipment of the car includes seat belts, a fire-fighting system, semi-elliptical lights, and airbags. In addition, among the elements of passive safety in this model are built-in beams that protect against a side collision, as well as a crumpled telescopic steering column.